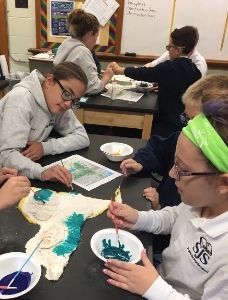 Grades 6-8 of our junior high division prepare students for the rigors and perseverance required of today’s secondary schools and beyond. Students are dually challenged and nurtured to develop the study skills, work ethic, and an intellectual demeanor required of the 21st century learner. Central to their development is the love of God, themselves, and others. 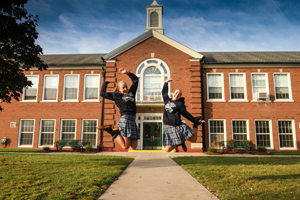 Whether in the classroom or during their off-site learning opportunities, the fundamental principles of personal responsibility and Catholic values remain central. Our graduates emerge with a humble confidence poised to embrace the next chapter of their lives.